Nel 2013 la retrospettiva della Berlinale è dedicata all’impatto del cinema di Weimar sul cinema internazionale nel periodo successivo alla salita al potere del Nazismo. Titolo: The Weimar Touch. L’influenza internazionale del cinema di Weimar dopo il 1933. La retrospettiva, a cura di Rainer Rother (dal 2006 alla guida della sezione più cinefila del festival berlinese), sarà focalizzata sulle diverse caratteristiche del cinema di Weimar, nonché sulle trasformazioni e gli adattamenti nelle cinematografie di altri paese. Un’occasione importante per andare oltre l’oramai stantia, seppur eminentemente originale, intuizione di Siegfried Kracauer. Di seguito, tratta dal sito della Berlinale, pubblichiamo l’ampia intervista, in lingua inglese, al curatore Rainer Rother che presenta, approfondisce e illustra, quella che si presenta come una delle più importanti retrospettive della Berlinale degli ultimi anni. What is the significance of Weimar cinema in the history of film from today’s perspective? The cinema of the Weimar Republic – especially the years spanning from 1918 to 1933 – is considered to be the golden age of German film. In this era, German film was especially innovative and it had a huge impact on other cinematographies. The key figures were great directors such as Friedrich Wilhelm Murnau, Fritz Lang, Ernst Lubitsch and Georg Wilhelm Pabst. The German industry reacted to the demise of silent film and the introduction of talkies in the late 1920s by producing versions in different languages, and in the case of the sound film operetta, Weimar cinema produced a lively, ironic form of musical film that found its way into international cinemas. Its lightness combined with a sensitivity for social transformations were a true innovation for the cinema of entertainment. German cinema has perhaps never been as exciting and diverse as during the Weimar Republic. The Nazi seizure of power in 1933 brought an abrupt end to this productivity and willingness to experiment. Hoping to avoid unemployment, persecution and disenfranchisement, more than 2000 film professionals emigrated in the years to the follow. The film industry went through a drastic change. As the title of the Retrospective already suggests, one can trace the influences of Weimar cinema on the international film industry. 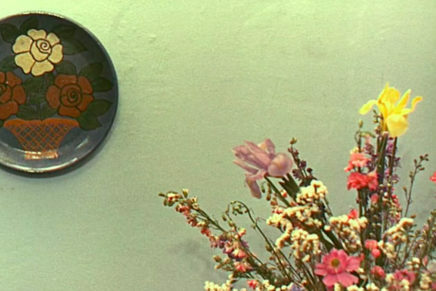 We also present examples of the continuation of this tradition during the early days of National Socialism: There were a few films in which the typical characteristics were still present, such as Viktor und Viktoria (1933) by Reinhold Schünzel and Gerhard Lamprecht’s Einmal eine große Dame sein (1934). However, the focus definitely lies in the work of filmmakers who emigrated. The aspects and forms of Weimar cinema lived on through their works. How did political realignment come about and how did the film industry react to it? The big break came with one of Joseph Goebbels first speeches as the newly appointed Propaganda Minister. On March 28, 1933 he spoke in the Berlin Hotel Kaiserhof before an audience of film industry representatives in very clear terms about the “volkish contours” of film in National Socialism. From then on Jewish and foreign film artists would have no place in German cinema. By the next day, the executive committee of Ufa had voted to dismiss important members of staff and annulled many contracts. The first measure that led to the expulsion of Jewish film professionals from Germany corresponded with an occupational ban. This was the beginning of the history of exile cinema. From the film industry´s point of view the loss of so many creative talents was extremely problematic. The expulsion of Jewish directors caused big problems for film companies, which relied on the economic success of their productions. It became difficult for them to continue to produce high-quality films which satisfied the tastes of the masses. The head of production at Ufa, Ernst Hugo Correll, stated as much in a 1934 report. What was the work situation for the expulsed filmmakers in their countries of exile? First of all the directors, writers, composers, production designers, actors, everyone who had to search for a job in their profession abroad were seen as additional and therefore not necessarily welcome competitors. For every artist who managed to find success again, one should not forget that a far greater number of them were only able to find work under the most difficult conditions or had to break into another profession or else didn’t find any work at all. The situation was different for each artist and for each profession. It might have been somewhat easier for composers to continue working, because they could express themselves in the universal language of music. For writers, though, exile often meant the need to make the country’s language their own. For example, someone like Emmerich Preßburger – who had scripted some of the most brilliant films in the Weimar Republic, had at first a lot of trouble in England, and it took him a long time before he felt comfortable with the English language. But then, in 1943, under the name Emeric Pressburger, he founded the production company The Archers together with Michael Powell and became one of the greatest scriptwriters of British cinema. Language could also be a big obstacle for actors. Directors, who didn’t have to express themselves in front of the camera, usually had less difficulties. In which countries did the filmmakers seek refuge? First some of them had the opportunity to continue the Weimar tradition elsewhere in Europe. Hermann Kosterlitz, for example, who later worked in the US under the name of Henry Koster, made films in Budapest in 1934/35. In Franzisca Gaál he found a great actress for this genre of film. Another destination for emigrants was France, where Fritz Lang and Robert Siodmak found work. Directors like Ludwig Berger and Kurt Gerron shot films in the Netherlands. But by the German invasion of Poland in 1939 and the beginning of the Second World, leaving Europe had become a matter of survival. For many, the US was the only safe refuge, and “escape to Hollywood” – the location of the largest and most innovative film industry – became the most popular option. However, the US administration only let a certain number of exiles enter the country, and emigrants were required to supply an affidavit of support from an American citizen. Paul Kohner, who had worked as a Hollywood agent since the 1930s, became the central contact for many who wanted to immigrate. He fostered connections and also facilitated and handed out contracts. One cannot stress enough how crucial his help turned out to be. Is the cinema of exile solely defined by the participation of exiled filmmakers? In the title of our Retrospective, “The Weimar Touch”, the exile film is not explicitly referred to. Our interest is broader and also directed towards other films, in which the influence of Weimar culture and Weimar cinema is noticeable. An obvious example of this is the classic Casablanca (USA 1942), because it is cast almost exclusively with European actors and addresses the theme of emigration. Also in the programme are films such as How Green Was My Valley (USA 1940) by John Ford. The lighting of Friedrich Wilhelm Murnau was a model for many directors of the American production company Fox, who had Murnau under contract from 1926 to 1929. It was also the case for John Ford. One finds interactions and continuities on many different levels, such as in compositions of Walter Jurmann or Werner Richard Heymann or in a certain way of writing scripts. The films of Billy Wilder are strongly influenced by the humour of Weimar comedies and the film operettas in the way they deal with characters. You’ve already mentioned various connections to Weimar cinema, influences of a thematic, stylistic or aesthetic nature. These are mirrored by the five chapters into which the Retrospective is organised. Which genres are represented most strongly in the programme? Film comedies and music play a big roll. We are showing Peter (Austria, Hungary 1934) by Hermann Kosterlitz, starring the headstrong Franzisca Gaál in the title role, a so-called “trouser role”. A further discovery is the recently restored Dutch film Komedie om Geld (1936) by Max Ophüls. In the chapter “Rhythm and Laughter”, we show many examples in which one can identify a transformation of Weimar film into the cinematographies of other countries. It is also apparent that the thriller profited from the Weimar tradition, as shown in the films of directors such as Fritz Lang. Or take Film noir, that great, creative phase of American cinema. If you look closer into the sub-genre, you find a surprisingly high number of directors and writers who had emigrated from Germany. Robert Siodmak belonged to them, as did Fritz Lang, Otto Preminger and Billy Wilder. Under the title “‘Unheimlich’ – The Dark Side”, we are showing a number of impressive examples. That special gaze that doesn’t simply divide society into good and bad, but sees ambivalence and shades, while at the same time finding a moral light and darkness, is something that Weimar cinema had developed, as in Fritz Lang’s M (1931), for example, but also in other films. You could say there was an aesthetic pre-education among the emigrants which enabled them to conceive a unique image of American society in Film noir. What role does the Expressionist imagery of Weimar cinema play in the chapter “Light and Shadow”? “Light and Shadow” is less about Expressionism and more about a certain type of light. 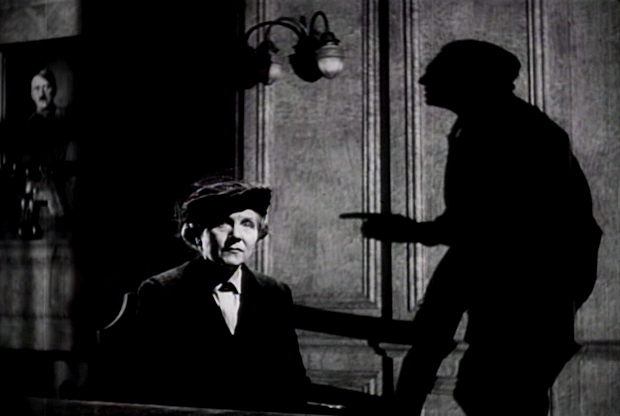 Friedrich Wilhelm Murnau expressed this “language of shadows” throughout his work. His lighting is famous for allowing gradation that avoids stark contrasts, and enables a whole palette of tones. In Sunrise – A Song of Two Humans (1927), one of the most beautiful American silent films, the Weimar tradition is immediately noticeable, and not just because it is based on a literary work by Hermann Sudermann. The influence of Murnau on American film has been confirmed by film artists such as John Ford, the director of How Green Was My Valley. Under the chapter “Variations” we concentrate on international remakes and variations on films from the Weimar era. There’s no pressing need for a biographical continuity, as in, for example, Joseph Losey’s remake of M (USA 1951), which was also produced by Seymour Nebenzal. First a Girl (GB 1935) by Victor Saville nods to Reinhold Schünzel’s Viktor und Viktoria. Curiously, the current DVD of First a Girl is advertised as having inspired Victor Victoria by Blake Edwards (GB, USA 1982). The actual original fell into oblivion. In the chapter “Know Your Enemy” you show anti-Nazi films. Who initiated these movies? We gave the chapter that name because we also wanted to show works that went beyond the usual understanding of the anti-Nazi film, for example Ergens in Nederland. Een film uit de Mobilisatietijd (1940), made by Ludwig Berger in the Netherlands and addressing the growing danger of occupation by German troops which became a reality that same year. But the main focus lies naturally in the classic Hollywood anti-Nazi films, whose era really began with Germany’s declaration of war against the US in December 1941. Besides Fritz Lang’s classic Hangmen Also Die! (1943), we’re also showing lesser known movies from the era in which German exiles played a decisive role, especially as directors and actors, but not only. Ironically, because of their accents, Jewish and other expatriated German actors were confined to very specific roles in those films, mostly as Nazis or German officers. Will the focused thematic context of the Retrospective allow audience to watch already well-known films with totally new eyes? We’ve tried to present a mixture of re-discoveries and classics such as Some Like It Hot (USA 1959) – a film which transports the subversive humour and drag of Weimar cinema into an American context. The framework of the Retrospective will definitely shed a “new light” on the film. To what degree do the films in the programme fit into German film history? The Deutsche Kinemathek has been working on Weimar cinema and the film exiles for a long time. We have built up comprehensive collections and devoted many retrospectives to the topic over the past decades. However many of those films that were produced with the considerable contribution of German exiles, belong to the cinema of the countries of immigration. So the films are not part of German film history. But with them the fruitful period of German film up until 1933 lives on. Even though the exile films are not part of German film history, one couldn’t write a history of German cinema without reflecting upon this contribution. So, while the films are written into the history of the countries they were made in and therefore belong to their respective national filmographies, the biographies and works of these exiled filmmakers find their origins in German film.